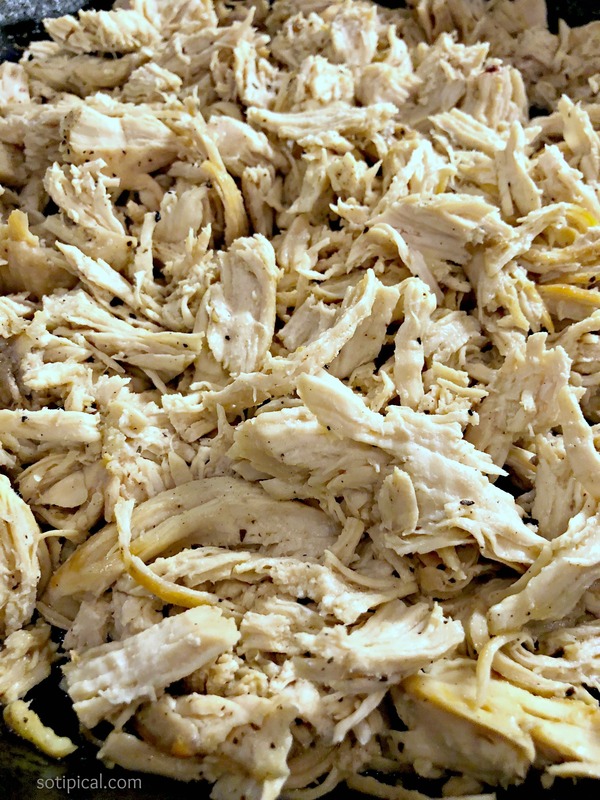 I never realized how fast and easy shredded chicken is to make! For the longest time, I either used a crock pot, purchased a rotisserie chicken and occasionally, I would use an electric pressure cooker. These are all great options, but when I just want to use two chicken breasts, those options seem a little excessive. I wouldn’t use my crock pot to cook just two pieces, so instead, I pick up a rotisserie chicken. This is actually wasteful for us because none of us like dark meat, so it ends up sitting in the fridge until trash day! I never really thought about making shredded chicken on my stove top. 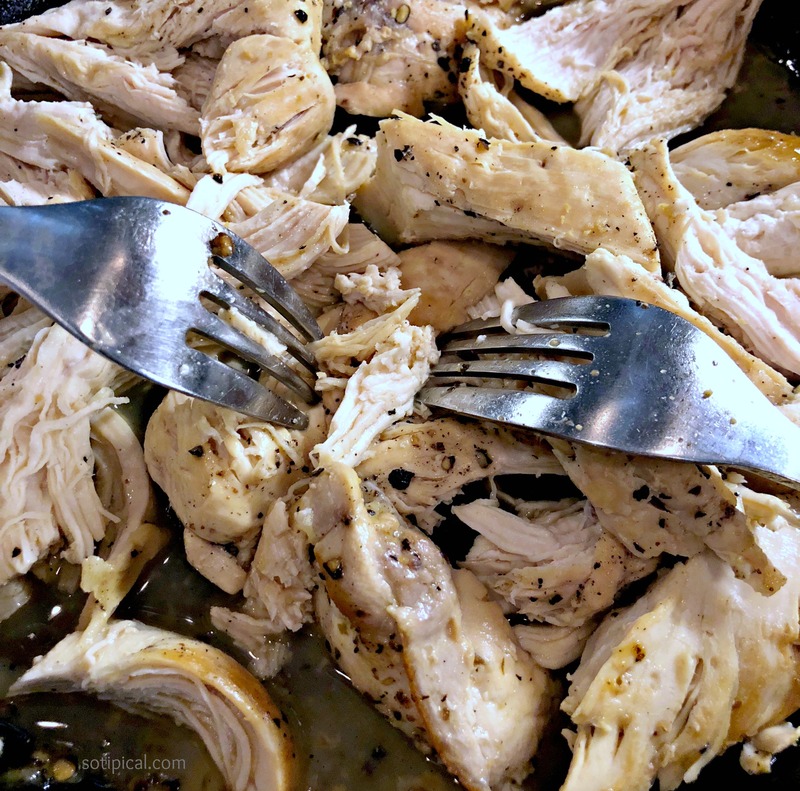 I’ve made chicken in a skillet countless times, but I always sliced it. The one time I did try, it was a disaster. The chicken was dry and didn’t shred at all, but eventually I learned a little secret that made all the difference! I immediately tried it and I was surprised at how well it turned out! Its so quick and easy, that I doubt I’d make it in a crock pot again unless I needed a really large batch. 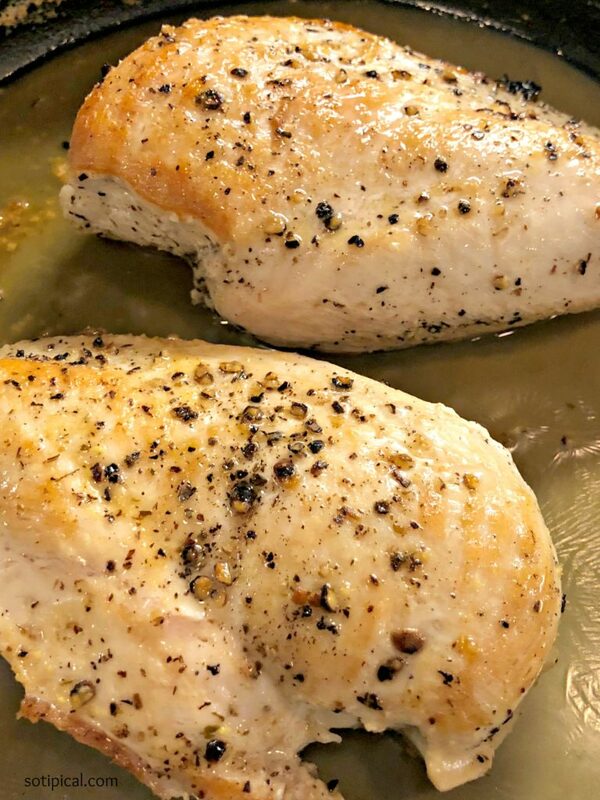 Begin with 2 chicken breasts. Pat them dry and season with salt and pepper. Heat oil in a large skillet. 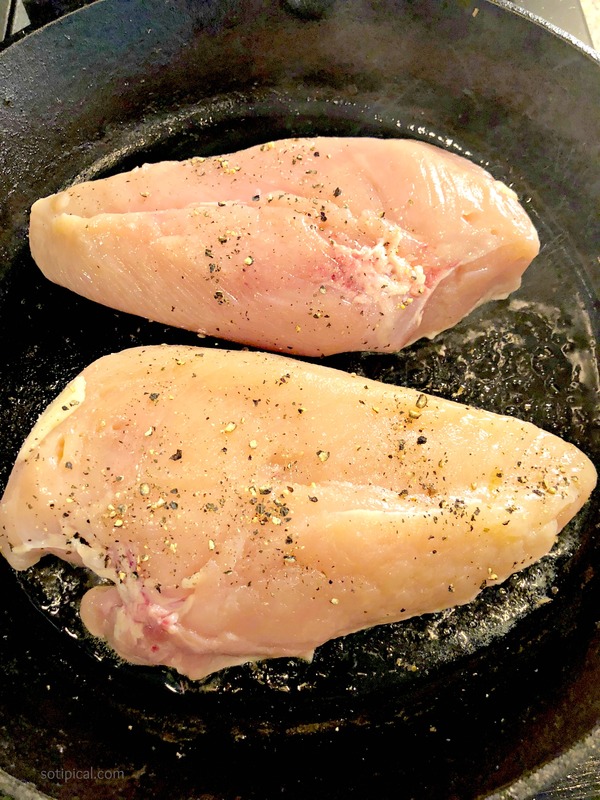 Place chicken in the pan. Do not flip or move them for about 5 minutes. 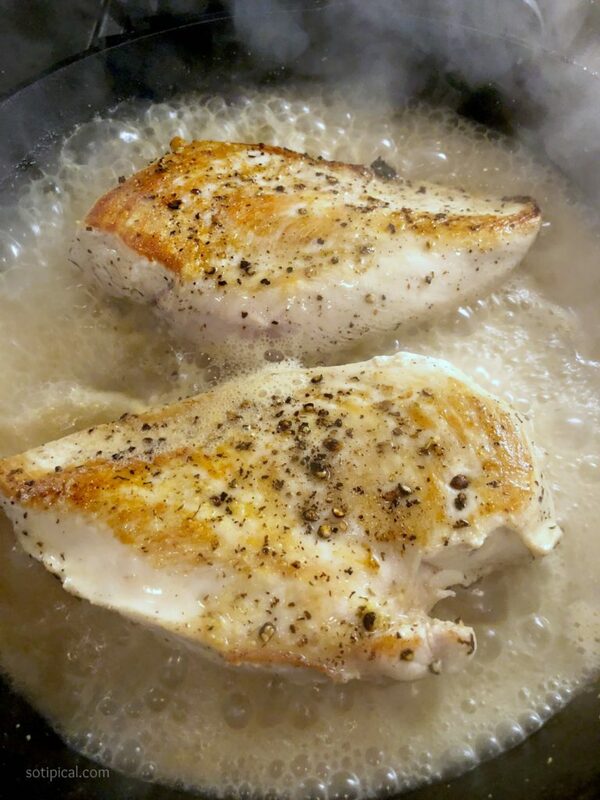 Once 5 minutes has passed, flip the chicken breasts over and add about 1/2 cup or chicken broth. Reduce heat, cover and cook for another 8-10 minutes. Remove chicken from pan when done and allow to stand for a few minutes. Then begin shredding the chicken with two forks. I then returned the shredded chicken to the pan and tossed it with the remaining broth. I was so pleased with the outcome! The chicken was moist and very tasty! I could eat it by itself. You can now season the chicken any way you like. Add taco seasoning for chicken tacos, BBQ sauce for pulled chicken, etc. You can even add some to pasta with Alfredo sauce and even use it for chicken salad sandwiches or for chicken Caesar salad. The possibilities are endless!